How to register online for Junior Football Camp 2015 by Bajaj Allianz Life Insurance? Registration / Application procedure to join Junior Football Camp (Season-6) 2015 by Bajaj Allianz Life Insurance. Kolkata, Bengal Football players Junior Football Camp 2015 in Salt Lake Stadium, Kolkata. Age limit, criteria to join Junior Football Camp 2015 by Bajaj Allianz Life Insurance. Bajaj Allianz Life Insurance has started registration process of Junior Football Camp Season-6 for the aspiring young talented footballers who require special coaching & tips to become more successful football player in coming years. Like previous 5 years, Bajaj Allianz Life Insurance took the initiative to start Junior Football Camp in 2015 (Season-6) to give a platform to the aspiring young football talent to learn more skills. 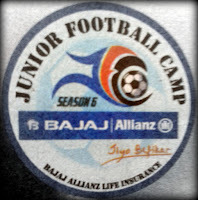 Registration process of Junior Football Camp 2015 by Bajaj Allianz Life Insurance: - All aspiring young talented football players of certain age limit are eligible to join Junior Football Camp (Season 6) 2015 by Bajaj Allianz Life Insurance. How to apply / register in Junior Football Camp 2015 by Bajaj Allianz Life Insurance? What to do to join Junior Football Camp 2015 by Bajaj Allianz Life Insurance? Interested young talented footballers only require registering online at www.jfc6.in website. After that, they need to appear an Online Football Quiz and required to upload a video showing their football skills. Registered footballers will be intimated later on after short listing. Coaching & Trainer panel has International names like Germany’s football club FC Bayern Munchen team coach along with other famous Indian & International coaches & trainers. Without wasting much time, who loves football and want to be learn more football skills should register themselves as soon as possible to join Junior Football Camp 2015 by Bajaj Allianz Life Insurance. Remember, apart from getting quality training from world famous coaches; you may win some prizes as well during Junior Football Camp 2015 by Bajaj Allianz Life Insurance. For further details regarding Junior Football Camp 2015 by Bajaj Allianz Life Insurance please email your queries to support.life@bajajallianz.co.in. All India Football Federation (AIFF) has withdrawn the Suspension of Mohun Bagan Football Club today on 15th January 2013 after a board meeting at Delhi. It’s indeed good news for Mohun Bagan Football Club & Mohun Bagan supporters that AIFF has given the permission to play rest of i-League football matches in this year by withdrawing the ‘suspended’ decision. Mohun Bagan Football Club of Kolkata got banned (Suspended) from playing football after the incident happened at Salt Lake Stadium on 9th December 2012 playing against East Bengal. Since then, Mohun Bagan Football Club of Kolkata was suspended from playing i-League matches and for that reason we have seen how much Mohun Bagan Board Members & Supporters requested AIFF to review their decision of ‘suspension’. Mohun Bagan Foot Ball Club of Kolkata required to pay 2 Crore Rupees. Mohun Bagan Football Club of Kolkata is eligible to play this year’s i-League but they are lost their 12 points. It means, Mohun Bagan will play the rest of their 16 i-League Matches with 0 Point in their bag. Mohun Bagan Club officials Anjan Mitra & Debasish Dutta are penalized. They are not allowed to attend any AIFF Proceedings & also they are not permitted to enter in the technical areas during i-League football match for 1 year. AIFF will announce their decision over ‘Odafa’, Mohun Bagan Footballer, later on. East Bengal beat Mohun Bagan with a scoreline 3-0 on that i-League match of 9th December 2012 - this official result has been declared by AIFF. Mohun Bagan Suspension Withdrawn – Video courtesy ABP Ananda. So, one of the best Football Clubs of Kolkata Mohun Bagan Athletic Club will again play in i-League matches. This time, Mohun Bagan Club has a tough task ahead because they are starting with 0 point and 16 matches to play. Football match December 2012 ticket price, buy tickets of Brazil football match of Kolkata, Brazil Masters 2012 Salt Lake Stadium Kolkata ticket price Yuva Bharati. Brazil Masters Football team is in Kolkata to play an exhibition Football Match against IFA All Stars XI Team on 8th December 2012 at Salt Lake Stadium (Yuva Bharati Krirangan) of Kolkata. People of Kolkata have seen many world-class footballers at Yuva Bharati Krirangan Football Stadium of Salt Lake, Kolkata till date and now the chance to see Brazil Masters Footballers playing in Kolkata against IFA All Stars Team that has world-class footballers of various countries. Brazilian footballers like Dunga, Bebeto, Rene Higuita [Columbian Goalkeeper], Roberto Carlos & many others who have represented Brazil & their own country will be playing at Salt Lake Stadium (Kolkata) on 8th December 2012 [Saturday] against I.F.A. All Stars XI Team. The match that shouldn't be missed because it’s a lifetime opportunity to see Brazilian legends playing football in front of us. Now, you must be wondering how much will be the Ticket price of Brazil Masters & IFA All Stars Football match to be played at Salt Lake Stadium, Kolkata on 8th December 2012 [Saturday]? Let me tell you that the ticket price of Brazil & IFA All Stars match are available at a price of only Rs.200/- & Rs.100/-. Yes, spend only Rs.200/- or Rs.100/- and get to see Brazilians battling against All Stars Football Team on the football ground of Salt Lake on 8th December 2012. If you want to buy tickets of Brazil Masters & IFA All Stars Football match 2012; then you required to visit any of these ticket counters located in Kolkata – December 2012 Brazil Masters vs. IFA All Stars Football Match Tickets are available at Mohammedan Sporting Tent at Maidan, IFA Official Ticket Counter and Yuva Bharati Stadium Ticket Counter [Salt Lake, Kolkata] from today [6th December 2012] onwards. Sports lovers of Kolkata are getting an awesome weekend after a long time; because India & England Test Cricket is going on at Eden Gardens, Kolkata and along with this Brazil Masters vs. IFA All Stars Football match on 8th December 2012 and also next day (9th December) East Bengal vs. Mohunbagan football match to be played at Salt Lake Stadium, Kolkata. Prayag United Football Club of Bengal is one of the renowned Football Teams along with Kingfisher East Bengal, Mohamadan, and McDowell Mohun Bagan. Time has come to sign new players & to retain old players for the next Football Season. Let’s check who has joined Prayag United & who left Prayag United Football Club. Ranty Martins, who last played for Dempo Football Team, is now going to play for Prayag United Football Club in the next season as per the contract. Subrata Paul, who last played for Pune Football Club is now going to play for Prayag United Football Club in the next season as per the contract. Gourmangi Singh, who last played for Churchill Football Team, is now going to play for Prayag United Football Club in the next season as per the contract. Zakir, who last played for Churchill Football Team, is now going to play for Prayag United Football Club in the next season as per the contract. Asif, who last played for Churchill Football Team, is now going to play for Prayag United Football Club in the next season as per the contract. Rabindar Singh, who last played for East Bengal Football Team, is now going to play for Prayag United Football Club in the next season as per the contract. Lester Fernandez, who last played for Pune Football Club, is now going to play for Prayag United Football Club in the next season as per the contract. Baldip Singh, who last played for Pune Football Club, is now going to play for Prayag United Football Club in the next season as per the contract. Ishant Debnath, who last played for Mumbai Football Club, is now going to play for Prayag United Football Club in the next season as per the contract. Gour Naskar, who last played for Southern Samity Football Team, is now going to play for Prayag United Football Club in the next season as per the contract. Now, let’s check the names of those Footballers who signed & joined other Football Clubs and leave Prayag United Football Club where they played last season. Denson Debdas Football Player left Prayag United Football Club & joined Mohun Bagan Football Club to play next season. Shankar Orao Football Player left Prayag United Football Club & joined Mohun Bagan Football Club to play next season. Arnab Mandal Football Player left Prayag United Football Club & joined East Bengal Football Club to play next season. Abhijit Mandal Football Player left Prayag United Football Club & joined East Bengal Football Club to play next season. Note: Few more players will be shifted and will be updates soon. Prayag United Football Club has made quite a few changes with the hope of playing well in the upcoming season & tournaments. Good wishes to Prayag United Football Club of Bengal. McDowell Mohun Bagan Football Club of Bengal is one of the talented & popular Football Teams along with East Bengal, Mohamedan, Prayag United. Time has come to sign new players & to retain old players for the next Football Season. Let’s check who has joined Mohun Bagan & who left Mohun Bagan Football Club. Tolge Ozbe, who last played for East Bengal Football Team, is now going to play for Mohun Bagan Football Club in the next season as per the contract. Stanley, who last played for Mohamadan Football Team, is now going to play for Mohun Bagan Football Club in the next season as per the contract. Itche, who last played for Southern Samity Football Team, is now going to play for Mohun Bagan Football Club in the next season as per the contract. Arindam Bhattacharya, who last played for Churchill Football Team, is now going to play for Mohun Bagan Football Club in the next season as per the contract. Mehrajuddin, who last played for Salgaokar Football Team, is now going to play for Mohun Bagan Football Club in the next season as per the contract. Dipendu Biswas, who last played for Mohamadan Football Team, is now going to play for Mohun Bagan Football Club in the next season as per the contract. Sabith, who last played for Pailan Arrows Football Team, is now going to play for Mohun Bagan Football Club in the next season as per the contract. Dension Debdas, who last played for Prayag United Football Club, is now going to play for Mohun Bagan Football Club in the next season as per the contract. Ibar Singha, who last played for Lazang Football Team, is now going to play for Mohun Bagan Football Club in the next season as per the contract. Nabin Kumar, who last played for Pailan Arrows Football Team, is now going to play for Mohun Bagan Football Club in the next season as per the contract. Khelemba Singh, who last played for Salgaokar Football Team, is now going to play for Mohun Bagan Football Club in the next season as per the contract. Lalrimfela, who last played for Churchill Football Team, is now going to play for Mohun Bagan Football Club in the next season as per the contract. Biswajit Saha, who last played for Salgaokar Football Team, is now going to play for Mohun Bagan Football Club in the next season as per the contract. Bijendra Rai, who last played for Pailan Arrows Football Team, is now going to play for Mohun Bagan Football Club in the next season as per the contract. Rajib Ghosh, who last played for Pailan Arrows Football Team, is now going to play for Mohun Bagan Football Club in the next season as per the contract. Shankar Orao, who last played for Prayag United Football Team, is now going to play for Mohun Bagan Football Club in the next season as per the contract. Mohun Bagan Football Club has made quite a few changes with the hope of playing well in the upcoming season & tournaments. Good wishes to Mohun Bagan Football Club of Bengal. Kingfisher East Bengal Football Club of Bengal is one of the talented & popular Football Teams along with Mohun Bagan, Mohamedan, Prayag United. Time has come to sign new players & to retain old players for the next Football Season. Few ups & downs happened in East Bengal Football Club especially with Footballer Tolge. Let’s check who has joined East Bengal & who left East Bengal Football Club. Chidi Ede, who last played for Salgaokar Football Team, is now going to play for East Bengal Football Club in the next season as per the contract. Isfaque Ahmed, who last played for Salgaokar Football Team, is now going to play for East Bengal Football Club in the next season as per the contract. Arnab Mandal, who last played for Prayag United Football Team, is now going to play for East Bengal Football Club in the next season as per the contract. Lalrimadika, who last played for Churchill Football Team, is now going to play for East Bengal Football Club in the next season as per the contract. Abhijit Mandal, who last played for Prayag United Football Team, is now going to play for East Bengal Football Club in the next season as per the contract. Manandip Singh, who last played for Air India Football Team, is now going to play for East Bengal Football Club in the next season as per the contract. Jaspal Parmar, who last played for Salgaokar Football Team, is now going to play for East Bengal Football Club in the next season as per the contract. Kevin Lobo, who last played for Mumbai Football Club, is now going to play for East Bengal Football Club in the next season as per the contract. Jagprit Singh, who last played for Churchill Football Team, is now going to play for East Bengal Football Club in the next season as per the contract. Safar Sardar, who last played for Mohmedan Football Team, is now going to play for East Bengal Football Club in the next season as per the contract. Priyant Singh, who last played for Mohmedan Football Team, is now going to play for East Bengal Football Club in the next season as per the contract. Now, let’s check the names of those Footballers who signed & joined other Football Clubs and leave East Bengal Football Club where they played last season. Tolge Ozbe Football Player left East Bengal Football Club & joined Mohun Bagan Football Club to play next season. Rabindar Singh Football Player left East Bengal Football Club & joined Prayag United Football Club to play next season. East Bengal Football Club has made few changes with the hope of playing well in the upcoming season & tournaments under the coaching of Trevor Morgan. Good wishes to East Bengal Football Club of Bengal. Nakata of Japan, Robert Pieres of France, Okocha of Nigeria and many other International Footballers are going to play in Kolkata in February 2012. Yes, like Indian Premiere League (IPL) T20 Cricket Tournament, in 2012 Indian Football Association is going to start Premiere League Soccer (PLS) with six franchisee teams in West Bengal State of India to promote Football in India. As per the news, as of now, PLS (Premiere League Soccer) Football Tournament is going to be inaugurated in February 2012 and the football matches of PLS (Premiere League Soccer) Football Tournament will be played at six Football Stadiums of West Bengal. The whole PLS (Premiere League Soccer) Football Tournament will took 7-weeks of time to complete and the league football matches will be played in home matches & away matches basis like IPL Cricket Tournament. Six franchisees, means Six teams, already signed International Football Coaches like Samson Cia Cia (Coach of Nigeria World Cup playing Football Team), Tony Adams (England football team coach) etc. France Footballer Zinedin Zidane may come to Kolkata in February 2012 to inaugurate PLS (Premiere League Soccer) Football Tournament and the organizers of PLS (Premiere League Soccer) Football Tournament selected six stadiums those have nearby Hotel & other facilities in Bengal. The Stadiums selected for PLS (Premiere League Soccer) Football Tournament are Salt Lake (Kolkata), Barasat Football Stadium, Howrah, Durgapur, Siliguri, and Haldia Football Stadium. There will be six Franchisee Teams and the name of the team will be given by the Franchisee owner. Franchise owners will have to buy the international and domestic footballers at the auction (Bid) like IPL T20 and the Auction of PLS (Premiere League Soccer) Football Tournament to choose desire Footballers will happen after 15th January 2012. Organizers of PLS (Premiere League Soccer) Football Tournament has categorized the Footballers for the Auction and the categories are (1) Icon Players, (2) Senior Footballers of Nation played in World Cup rounds, and (3) Footballers from Under-19 & Under-17 World Cup playing teams. Total of 24-International Footballers will be auctioned for PLS (Premiere League Soccer) Football Tournament. Not only Footballers, Coaches will also be selected by the Franchise owners at PLS 2012 Auction. On the first day of PLS 2012 Auction, Coach & Category-3 players will be selected and the next day of PLS 2012 auction the World Cup players will be auctioned. Indian Footballers who are not playing in i-League 2011-2012 will be auctioned at PLS (Premiere League Soccer) Football Tournament and some of them are Renedy Singh, Sushil Singh, Dipendu Biswas etc. Indian Football Association (IFA) wants to develop the mental & physical fitness along with the playing skills of Indian Footballers and this is why like IPL T20 Tournament, they are going to introduce PLS (Premiere League Soccer) Football Tournament from 2012. Cheer Leaders, various events & exclusive entertainment will also going to facilitate the PLS (Premiere League Soccer) Football Tournament of West Bengal. Search Tags: Indian West Bengal Kolkata PLS Premiere League Soccer Football Tournament 2012 Auction player names team owner date schedule chart PLS (Premiere League Soccer) Football Tournament 2012 matches venue stadium names, format PLS (Premiere League Soccer) Football Tournament 2012 Indian players name. Those who want to become a footballer and in search of IFA Affiliated Football Coaching Centres (Clubs) in Kolkata are requested to choose Football Coaching Clubs in Kolkata from the below mentioned list of all IFA approved Football Coaching Clubs in Kolkata. These Football Coaching Centres in Kolkata offers best football coaching & training in East, West, North, South & Central Kolkata and produced so many skilled footballers. 1. Promodnagar Janakalyan Sangha IFA affiliated & approved Football Coaching Centre in Kolkata. 2. Anushilani Club IFA affiliated & approved Football Coaching Centre in Kolkata. 3. Colony Institute Sub Junior Football Coaching Centre IFA affiliated & approved Football Coaching Centre in Kolkata. 4. Lunar Football Academy IFA affiliated & approved Football Coaching Centre in Kolkata. 5. Jana Kalyan Samity Football Coaching Centre IFA affiliated & approved Football Coaching Centre in Kolkata. 6. Entally Talent Club IFA affiliated & approved Football Coaching Centre in Kolkata. 1. Behala Morning Football Coaching Centre IFA affiliated & approved Football Coaching Centre in Kolkata. 2. Siyawala Muslim Institute IFA affiliated & approved Football Coaching Centre in Kolkata. 3. Jagriti Junior Football Coaching Centre IFA affiliated & approved Football Coaching Centre in Kolkata. 4. Sammilani Welfare Centre IFA affiliated & approved Football Coaching Centre in Kolkata. 5. Krishanu Dey Memorial South Kolkata Football Coaching Centre IFA affiliated & approved Football Coaching Centre in Kolkata. 6. Victory Academy of Sports IFA affiliated & approved Football Coaching Centre in Kolkata. 1. Dukhiram Majumder Coaching Centre IFA affiliated & approved Football Coaching Centre in Kolkata. 2. Baranagar United Association Football Coaching Centre IFA affiliated & approved Football Coaching Centre in Kolkata. 3. Barasat Football Stadium IFA affiliated & approved Football Coaching Centre in North Kolkata. We hope the list will increase in coming years to produce more and more skilled professional Footballers from Kolkata & nearby areas. Keep on visiting us to see more addition to the list of all IFA approved Football Coaching & Training Centres in Kolkata. Footballer Subrata Bhattacharya, who played so many years for Mohun Bagan Foot Club of Kolkata as Defender and also brought so many Cups during his Football Coaching career, has been appointed as the new technical coach of Mohun Bagan Club alongside Coach Prashanta Banerjee, who also played for Mohun Bagan Club. Let’s check out the earlier statistics & details about Mohun Bagan Club & Subrata Bhattacharya’s Coaching Career. • 1st Phase of Subrata Bhattacharya as Football Coach of Mohun Bagan Club: Subrata Bhattacharya was appointed as the Mohun Bagan Coach during July 1995 to December 1995 and in this coaching time Subrata Bhattacharya unable to bring any Medals or you can say failed to win any Football Tournaments. • 2nd Phase of Subrata Bhattacharya as Football Coach of Mohun Bagan Club: After 5 years, Subrata Bhattacharya re-appointed as Mohun Bagan Coach in November 1999 and worked for 4 consecutive years. This is the best time of Coach Subrata Bhattacharya because in this period of Coaching Mohun Bagan had won so many tournaments including National League, Federation Cup, IFA Shield, Kolkata League, Airlines Gold Cup, Governors Gold Cup, Durand Cup, and Rovers Cup. 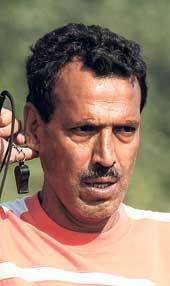 In April 2003, Subrata Bhattacharya again replaced by another coach. • 3rd Phase of Subrata Bhattacharya as Football Coach of Mohun Bagan Club: After one year gap, Mohun Bagan Football Club of Kolkata recalled Subrata Bhattacharya and gave the responsibility of Coaching for the third time in April 2004. Footballer Subrata Bhattacharya coached Mohun Bagan till March 2005 and during under coaching Mohun Bagan won Airlines Gold Cup. • 4th Phase of Subrata Bhattacharya as Football Coach of Mohun Bagan Club: Due to some unavoidable circumstances, Footballer Subrata Bhattacharya was way from Moun Bagan Club Management and after 5-long years, in October 2011 Subrata Bhattacharya appointed as Technical Coach of Mohun Bagan Football Club alongside Coach Prashanta Banerjee. Wishes from friends, colleagues, fans of Mohun Bagan Club & family (Lata Bhattacharya – name of Subrata Bhattacharya wife and Pinki Banerjee – Prashanta Banerjee wife name) should make Subrata Bhattacharya & Prashanta Banerjee proud by uplifting Mohun Bagan Club as number one football team of India. Bengal Football is the oldest sports of all. West Bengal is known for famous Football Players and Bengal is the state of India to start playing Football first way back during British rule. If you are looking for Football Academies Clubs in Kolkata, Bengal and want to play Football professionally then contact as soon as possible to any of the famous Football Associations in Kolkata as in Bengal Football can be played from childhood and has different Age categories like under-12 Bengal football team, under-15, Under-18 and Senior Football Teams of Bengal. Bengal Kolkata provides the most opportunity to learn Football in world famous Football Athletics clubs in Kolkata along with the senior players of Bengal and foreign footballers of Bengal. So, with out wasting much time, you all are requested to come and join the popular Football Clubs of Kolkata Bengal and to grow your inner Footballer Skills. Here is the List of all Football Clubs Coaching Centres in Kolkata, Bengal along with Football Clubs Address & Phon e numbers of Kolkata. So, these are the Football Clubs in Kolkata and Football Grounds in Kolkata where from male (men) and female (women) aspiring footballers can get coaching of Football games in Kolkata.